Add the gin to a mixing glass. Tear a mint sprig into pieces and drop it into the gin. Add the juices, simple syrup, ice, and stir to chill. 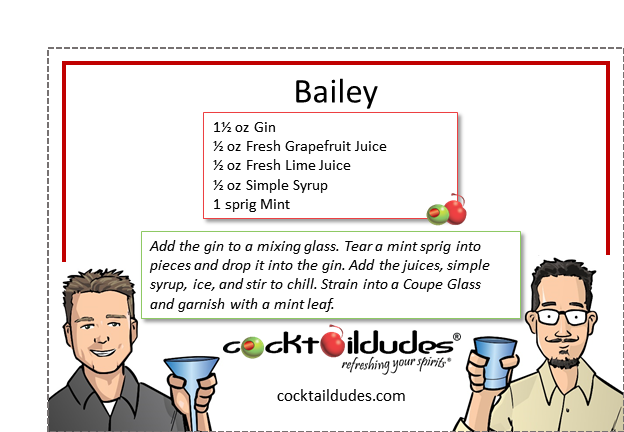 Strain into a Coupe Glass and garnish with a mint leaf. The Baily is a 1920’s-era cocktail created by the artist and socialite Gerald Murphy. Gerald would often host dinner parties with guests like F. Scott Fitzgerald, Ernest Hemingway, and Picasso. At these parties he would treat his guests to cocktails that were often of his own creation. He was very deliberate and fastidious while behind the bar, being likened to a priest preparing Communion. 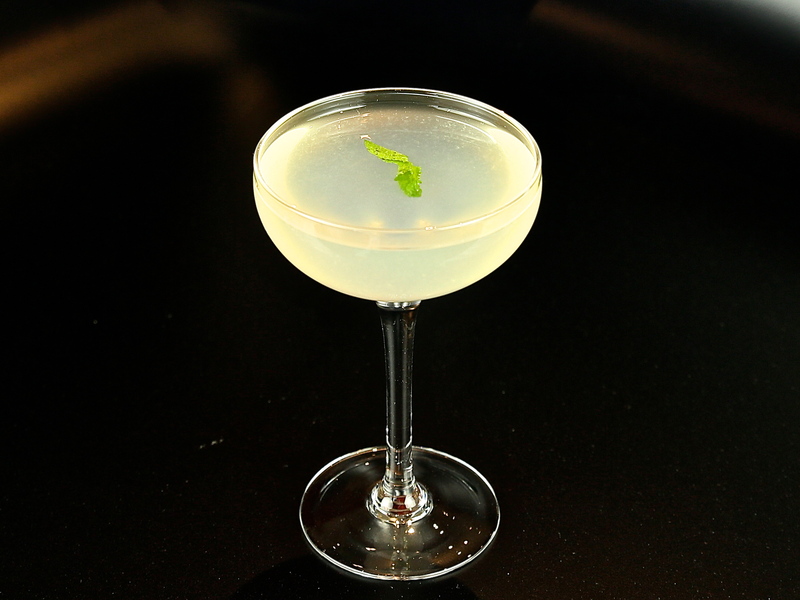 He called for the mint in this cocktail to steep for a while in the gin so as to capture its essence in this nice, tart, light, and refreshing cocktail. Check out his Juice of a Few Flowers cocktail, as well. Cheers!